The cozy and functionally furnished apartment with 2 bedrooms and a fully equipped kitchen is quiet but still close to the center of TIGNALE-GARDOLA. With 80 square meters, the apartment can accommodate up to 8 people, in a bedroom has 1 double bed, the other 1 double bed and a bunk bed. In the living room is a large dining table with comfortable chairs and a large double bed couch housed, and the kitchenette equipped with coffee maker, toaster, gas stove, refrigerator and dishes. The apartment is distinguished by its large balcony with fabulous views of Lake Garda. Dining table and chairs, sun loungers and an awning allow quasi also to live outside in the summer time. The flat-screen TV, satellite TV and free Wi-Fi provide entertainment. The bathroom has a shower, toilet and sink, cooler days is also a heater available. The apartment not only has a spacious balcony but also have large green areas with tennis court and a small football field. Seating under shady trees with stunning views of Lake Garda at the Guest's available as well as a large pool with pool deck - chairs and umbrellas available - as well as a cozy large shared terrace bar with seating and tables and chairs. Here are regularly held in the season barbecue evenings. Within the residence, a washing machine available. Several Kicker, an outdoor chess table tennis, darts and 2 machines provide extra pleasure young and old. For our younger guests there is a playground with swings, slides, etc., as well as other small children's play area by the pool grounds. The set up of the Tignale (so far) free shuttle service offers guests several times a day within the season comfortably and safely get to the large beach of Tignale and back again, without the hassle of parking Find. For your car is a car parking space in the garage on the property of the residence. The Tignale offers guests additional offers for your holidays, this includes numerous guided hikes and mountain bike trips to interesting places in the area. On several fairs and festivals, regional products are offered. In a recently completed Adventure Park where young and old can indulge additional challenges. Enjoy a stress-free holiday with up to 8 people in our cozy apartment 'LUPINO' in Tignale. Located on a plateau between Campione and Gargnano on the western shore of Lake Garda - - Thanks to its privileged position overlooking the entire lake and the beautiful, opposite the massif of Monte Baldo Tignale is considered one of the most fascinating places on Lake Garda. Medieval streets and churches of art historical relevance between luxury hotels, cafes and restaurants. The numerous small businesses cover the supply of the community from high quality. The area extends from the lake up to the high mountain peaks above the village and therefore offers an extremely varied landscape - perfect for any kind of sport in nature. Tignale is versatile and is always new and enchanting scenarios. From the rugged terrain of the gorge of the torrent S. Michele, over the occupied with olive vineyard terraces between Piovere and Oldesio, extensive meadows m with fruit trees, dense forests, wide valleys and steep cliffs to the lake with its small fishing harbor and historic lemon garden Pra del la Fam obtained and maintained and now a museum serves the various phases of the ancestral lemon cultivation are illustrated in the. Lake Garda offers lovers of water sports a variety of ways. Many sailing schools teach children and adults the world of this wonderful sport, close. For boat lovers there is the nearby Gargnano yards and berths. Deer, ibex, golden eagles, squirrels, marmots and chamois are just some of the many species that inhabit the mountains around Tignale. Discover them on hikes through the park. The climatic characteristics and the geology around Tignale have produced a lush, typically sub-Mediterranean vegetation. Holm oak, spruce, fir, beech, hornbeam, oak, cypress, olive, magnolia, cedar, lemon, capers and palm trees ... a kind of eternal spring, the body and mind refreshed. In addition to water sports, you will find a paradise of mountain biking and cycling. If you like to conquer a mountain bike the mountains, offers a huge selection of Tignale more or less difficult or technically challenging trails. The landscape is extremely varied, since the area ü.d. from the lake up to a height of 1900 m M. Cima Piemp, Passo Puria, Passo Fobia, Passo d'Ere, Bocca Paolone are some of the goals that are worth discovering. Without olive oil hardly a dish is prepared. Therefore, the growers put here a great attention to the quality of the oil. The olives come from Tignale traditionally made from 100% organic. Already the old Romans planted olives in this microclimate and oil won it. Even today, the fruits are harvested by hand as formerly, but cold-pressed in a modern facility directly and without storage. The oil from Tignale has an extremely low acidity. The balanced flavor and velvety scent of olive oil is ideal for fish as meat. Tignale found except the Gekrösetrüffel the excellent black Périgord truffle, summer truffle and with a little luck, the Burgundy truffle. A real treat for foodies Tignale dedicated to this event every year the first week of October. Towels can be hired locally for a fee. Tignale - unique and memorable! Located in a privileged position on a plateau between Campione and Gargnano on the west coast of Lake Garda - overlooking the entire lake and the beautiful, opposite the massif of Monte Baldo Tignale is considered one of the most fascinating places on Lake Garda. Medieval streets and churches of art historical relevance, cozy cafes and restaurants, Tignale is versatile and is always new and enchanting scenarios. 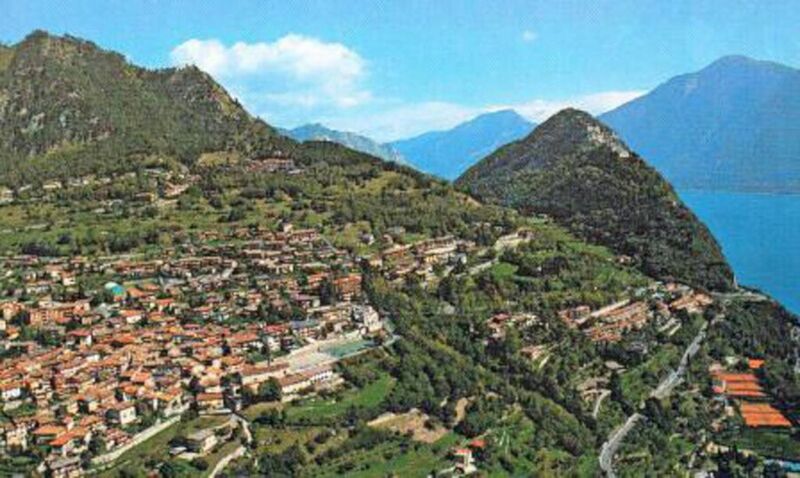 Tignale - in addition to water sports, you will find a paradise of cycling and hiking. Tennis fans will get their money's geanuso horse lover. Tignale - a tip for gourmets - olive oil from organic cultivation and truffles - a real experience. Golf: The nearest golf course is located in Gargnano-Bogliaco and ranks among the finest in the region. Children under 7 years are free of charge. Costs from 04.10. to 12.04. stream/gas € 10,00 a day . Costs in other periods are included, except for heating (if requested). From 08.06.2019 to 24.08.2019 are minimum 3 persons required. Tourist tax for 2019 (€ 1,50/person), if requested, must be paid cash in loco.